Welcome to the party! Wow, I have never put together a post this fast. We had to make an unexpected and quick trip to Missouri this weekend. Eight hour drive each way makes for a very long and tiring weekend. I wasn't sure what kind of internet connection I would have, so I wanted to get this ready before we left. There were so many awesome features for The Pick of the Bunch, that I will get those posted late Sunday afternoon. 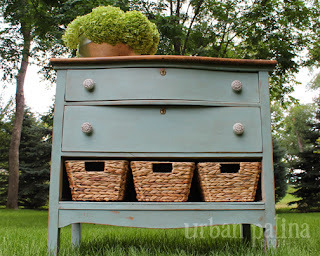 Urban Patina shared her beautiful duck egg blue dresser makeover. 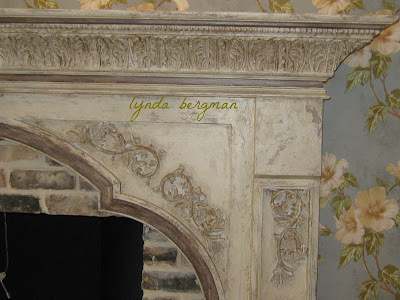 Lynda Bergman shared this gorgeous mantel she painted to look old and distressed. 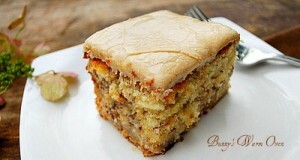 Bunny's Warm Oven shared this Banana Pecan Cake with Caramel Icing! YUM! 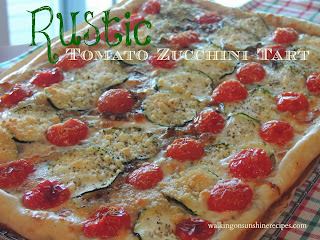 Walking on Sunshine shared this delicious Tomato Zucchini Tart. Thanks for hosting! Great ideas and lovely blog. Started following on Google +. Thanks for a great party and new follower on Bloglovin! Sounds like you need a nap! Glad you made the trip safely. Thanks for hosting. Eight hours is not a quick trip - whew! Thanks so much for taking the time to host! Kathy, Thank you so much for featuring the mantel that I painted. I always enjoy visiting your blog. Thank you for the party! Kathy, thanks so much for hosting! Glad to link up! Have a great week! Thanks for the party Kathy! 8 hours in a vehicle is exhausting...I know because we recently drove 10 hours straight from our vacation. Hope your trip was worth the long drive! Oh my dear friend, how tiring! Thanks for hosting again this week.Please take care and have a rested weekend.